LOS ANGELES, Nov. 19, 2018 /PRNewswire/ — Byron Allen’s Entertainment Studios (ES) and the National Association of African-American Owned Media (NAAAOM) – plaintiffs in federal lawsuits filed against Comcast and Charter Communications – are pleased to announce two decisions issued today by the United States Court of Appeals for the Ninth Circuit. 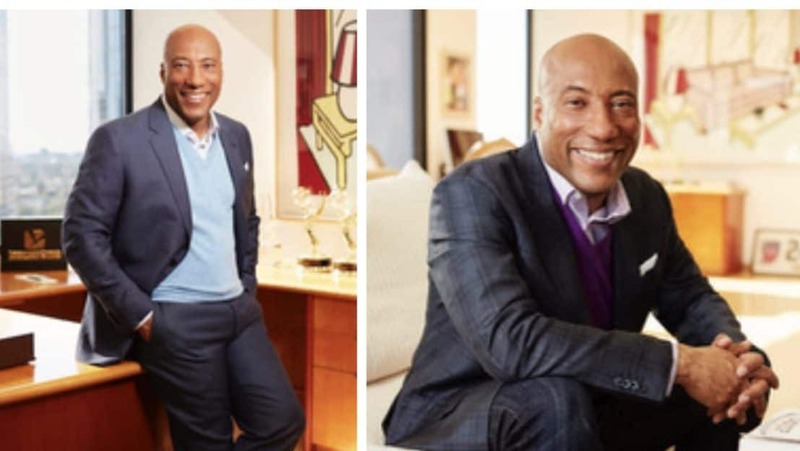 About Entertainment Studios / Allen Media LLC Chairman and CEO Byron Allen founded Entertainment Studios in 1993. Headquartered in Los Angeles, it has offices in New York, Chicago, Atlanta, Denver, and Raleigh. Entertainment Studios owns eight 24-hour HD television networks serving nearly 160 million subscribers: THE WEATHER CHANNEL, PETS.TV, COMEDY.TV, RECIPE.TV, CARS.TV, ES.TV, MYDESTINATION.TV, and JUSTICE CENTRAL.TV. The company also produces, distributes, and sells advertising for 41 television programs, making it one of the largest independent producers/distributors of first-run syndicated television programming for broadcast television stations. With a library of over 5,000 hours of owned content across multiple genres, Entertainment Studios provides video content to broadcast television stations, cable television networks, mobile devices, multimedia platforms, and the World Wide Web. Our mission is to provide excellent programming to our viewers, online users, and Fortune 500 advertising partners. Entertainment Studios Motion Pictures is a full-service, theatrical motion picture distribution company specializing in wide release commercial content. ESMP released 2017’s highest-grossing independent movie, the shark thriller 47 METERS DOWN, which grossed over $44.3 million. In 2018, ESMP also released the critically-acclaimed and commercially successful Western HOSTILES and the historic mystery-thriller CHAPPAQUIDDICK. Upcoming releases include the Keanu Reeves sci-fi thriller REPLICAS, the John Krasinski/Emily Blunt-starring animated feature ANIMAL CRACKERS, and Joe Carnahan’s Mel Gibson/Naomi Watts starring action-thriller BOSS LEVEL. The digital distribution unit of Entertainment Studios Motion Pictures, Freestyle Digital Media, is a premiere multi-platform distributor with direct partnerships across all major cable, digital and streaming platforms. Capitalizing on a robust infrastructure, proven track record and a veteran sales team, Freestyle Digital Media is a true home for independent films. About NAAAOM NAAAOM’s mission is to eliminate racial discrimination and secure the economic inclusion of truly 100 percent African American-owned media through fair contracting and equal treatment practices.